Celebrate the 150 anniversary of Pitzman’s Surveyors, which was acquired by owner of Frontenac Engineering in 2006. Develop a well-researched summary of the Pitzman’s Company and Julius Pitzman (original founder) and position the brand/service as being in good hands with the current owner. 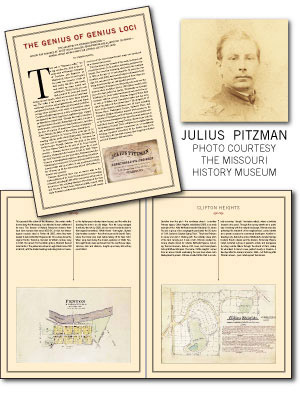 Program Highlights Developed article about the acquisition of the company and the original legacy of Julius Pitzman who founded the surveying business in 1959 and went on to also serve in the Civil War. Located vintage image of Julius Pitzman and secured permission to use it on the website along with other company materials.